Lol, later some people will say boy is razz, shior. 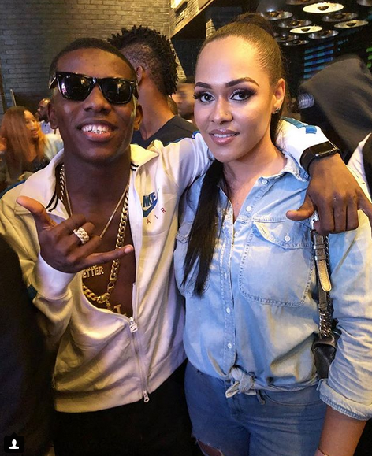 So Wizkid’s ex, Tania Omotayo finally met Small Doctor and she happily splashed their photo on social media saying her year is now complete after meeting the young dude. She also went on to say she is a big fan of one of his hit singles- penalty.